At KaTech it was clear from the very beginning that we would build a business based on ethical and social values. Food is a fundamental component for life and is the focus of our company activities and targets. It is our aim to act with professionalism and to provide sustainable products where possible for our clients. Compliance with legal requirements and directives are very important to our business and consequently we give these quality, ethical and sustainability criteria our highest attention and commitment. Confidence in the food industry and in the services that KaTech offer is essential. Our customers place their trust in the solutions that we provide. This is why quality, safety and CSR are at the forefront of our minds. It applies to our products, our services and our care, and it comprises our employees, our business partners, our products and the environment. 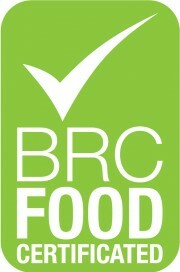 We do not compromise on quality and safety; we are a reliable partner for those in the food industry. We have placed a high degree of focus on these criteria and they are subject to external independent measurement and evaluation in order to achieve and maintain certification. To view the actual certificates, please click on the logos opposite to download the relevant PDF. To learn more about our environmental policy, please click on the ‘pdf-link’ opposite. Please click the following links to find out more about our Certification with RSPO..